Washington D.C., August 13th, 2018- Kelsi Horn wins the title of Miss Black USA 2018. Kelsi is a Detroit native and graduate of Michigan State University with a Bachelor of Science in Advertising & Public Relations. She is an activist, entrepreneur, and advocate for mental health. Kelsi is currently the owner of a luxury event planning company. While at MSU, she served as President of The Black Student Alliance. There she worked directly with the administration to improve retention rates among African American students and bring awareness to sexual assault on campus. Kelsi is also a member of Alpha Kappa Alpha Sorority, Inc. and local mentoring organizations in her community. The pageant, a week-long event kicked off on the 8th of August and culminated with the crowning of (Last Name) on August 13th. The event was live streamed as contestants opened with an upbeat dance number choreographed by the reigning Miss Black USA and professional ballerina Daphne Lee. Contestants were judged in Evening Gown, On-Stage Interview, Talent and Personal Fitness. 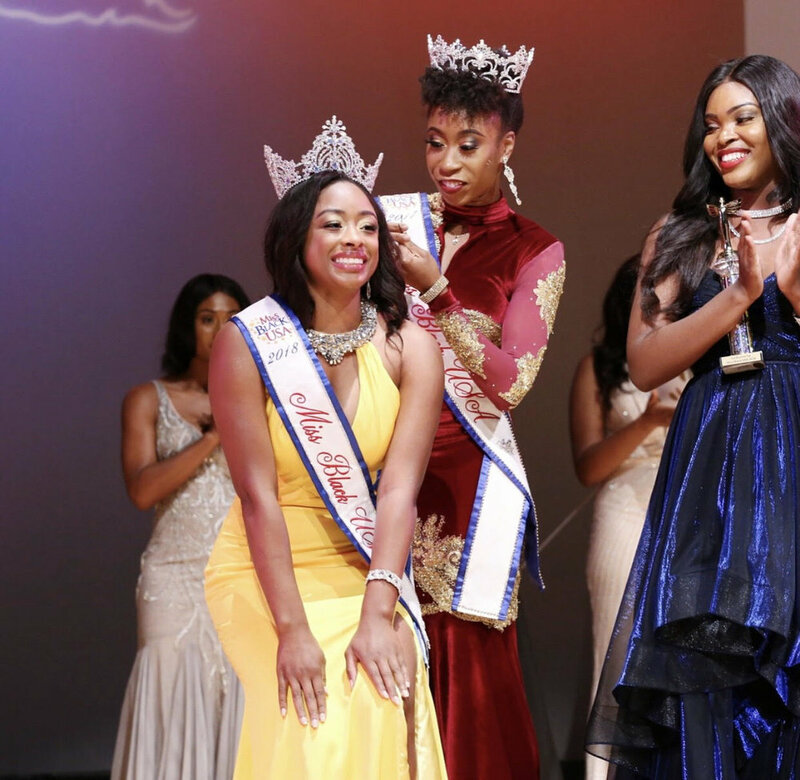 The Miss Black USA pageant is the premier pageant for women of color. The non-profit organization was founded in 1986 seeking to provide educational opportunities to outstanding young African American women and to develop the whole woman, mind, body, and spirit. To date, the pageant has awarded more than $450,000 in scholarships. Miss Black USA, Daphne Lee is available for appearances and media interviews. Clippings of the crowning of Miss Black USA are also available. Please contact Leon Valentine at pr@missblackusa.org or via phone at (615) 516-0358.